Flightless Goonies are Goonies that lost their wings. 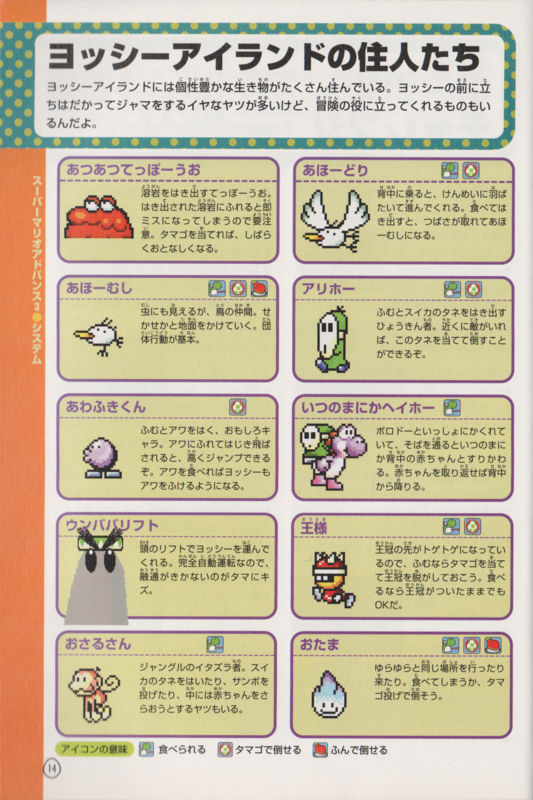 They appear in Super Mario World 2: Yoshi's Island, Yoshi's Island: Super Mario Advance 3, Yoshi Touch & Go, Yoshi's Island DS, Yoshi's New Island, Yoshi's Woolly World, Poochy & Yoshi's Woolly World and Yoshi's Crafted World. 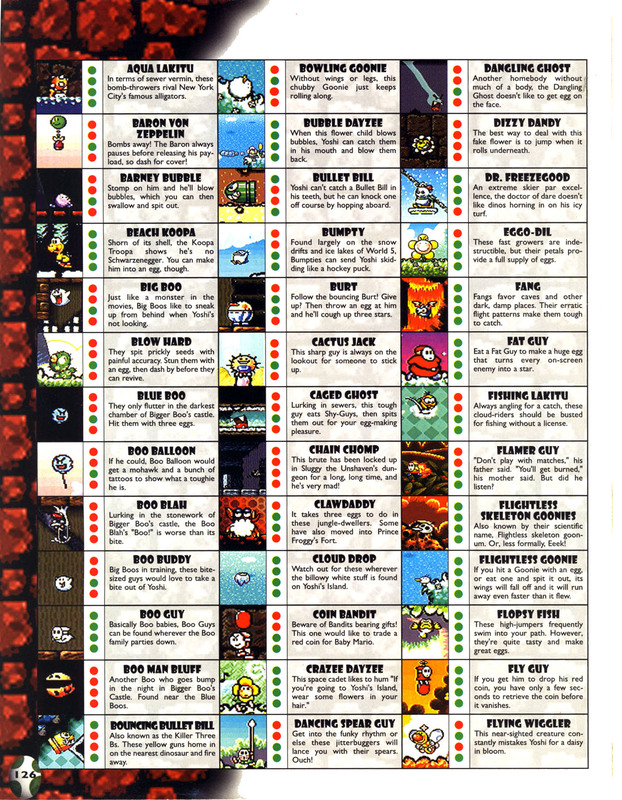 In the Yoshi's Island games, if a Yoshi eats a Goonie and then spits it out, throws an egg at it, or spits out an enemy at it, it will become a Flightless Goonie, though, some of them already lack wings. Different from other enemies, stomping on them will not send Yoshi into the air. Later in the games, Flightless Skeleton Goonies appear. A Flightless Goonie's primary method of attack is running into Yoshi. They usually appear in packs. In Yoshi Touch & Go, Goonies turn into Flightless Goonies if they are hit by an egg. Ahō Mushi From Ahō Dori, Goonie's Japanese name, and 「虫」 mushi, "bug". This page was last edited on March 28, 2019, at 21:39.